Whether you love it or hate it, mayonnaise can really come in handy. Besides being a ~delicious~ condiment, mayonnaise can also be used in a ton of unexpected cooking applications that'll take your food to the next level. Mayo is mostly fat (eggs and oil — AKA two things that we often add to our food to make it taste better anyways), so even though it may sound weird, it makes sense. 1. 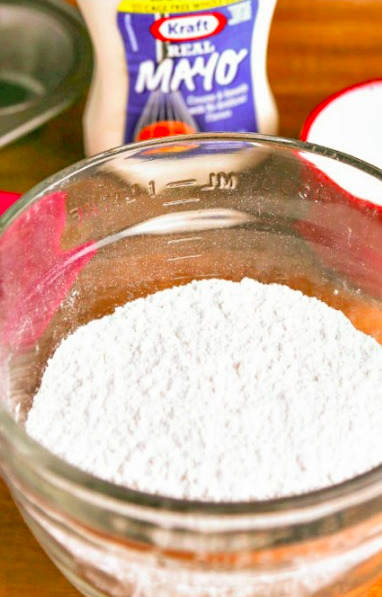 Add it to cake batter to make your cakes super moist. It might sound crazy, but many people swear that mayonnaise is the secret ingredient for making super moist cakes. After all, mayonnaise is made with ingredients already in cake, so the idea isn't that crazy. 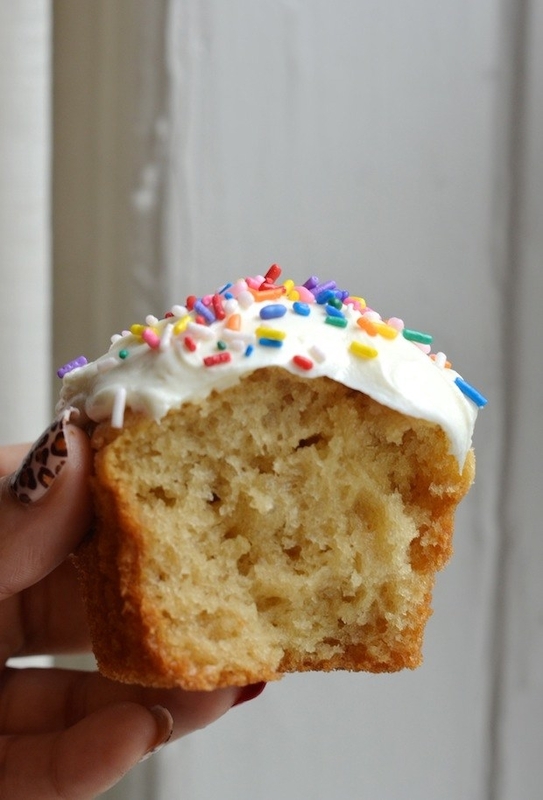 Get the recipe for these vanilla and brown sugar mayonnaise cupcakes here and try it for yourself. 2. Brush your proteins with mayonnaise before cooking to prevent them from sticking to the grill. Chef Michael Cimarusti of Providence restaurant swears by brushing his fish with mayo before grilling it. Why? Because a thin coating of mayonnaise can actually prevent things from sticking to the grill and promote even browning. See how to do it here. 3. For a golden crust, fry your grilled cheese in mayonnaise instead of butter. 4. 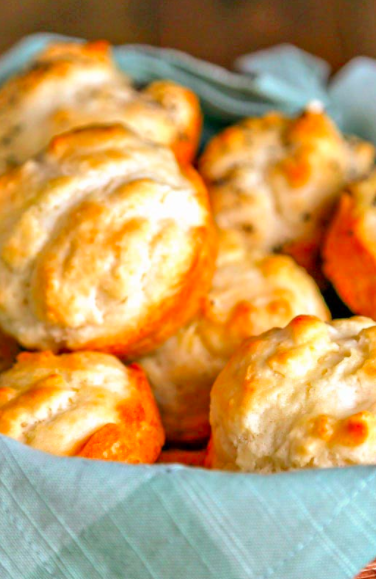 Use it to make fluffy biscuits that only take three ingredients to make. Self-rising flour + milk + mayonnaise is all you need to make super fluffy biscuits that don't require any yeast or rising. Get the recipe here. 5. Add it to mashed potatoes to make them super creamy and rich. It might sound taboo to add mayonnaise to your mashed potatoes, but it really does make them super creamy and rich. This recipe doesn't skimp on the mayo and adds half a cup to give them a beautiful texture and subtle tang (kinda like sour cream). Learn how to do it here. 6. 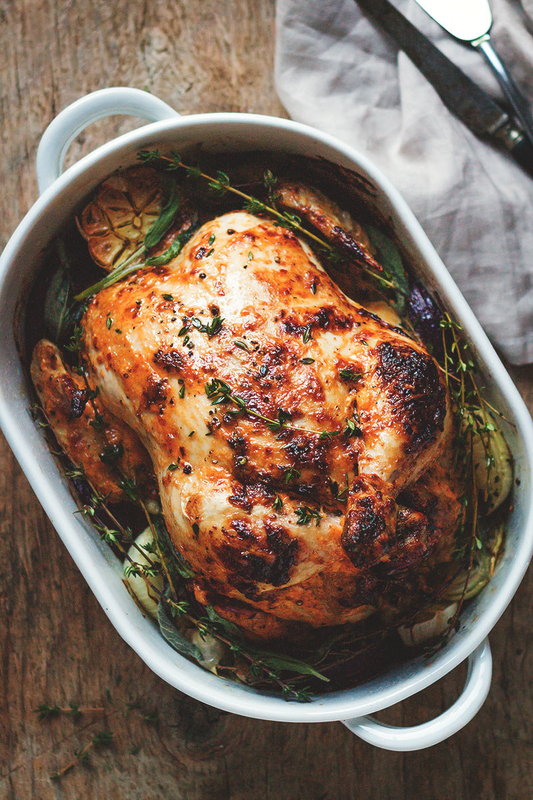 Rub your chicken in it before roasting to give it a beautiful golden color. Mayonnaise makes the perfect rub because it helps the skin crisp up and is thick enough that you won't have to baste or reapply it. 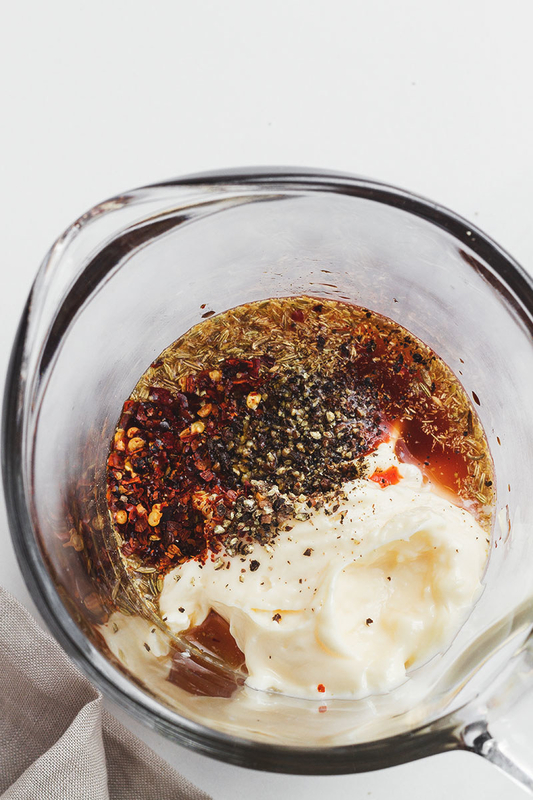 This recipe adds chili sauce and herbs to mayo, but you can try this with any spices you have on hand. Learn how to do it here. 7. Use it to make breaded chicken breasts without having to use flour or eggs. Most breaded chicken breasts get a coating of flour, egg, then breadcrumbs, but this recipe streamlines things by ditching the eggs and flour and using mayonnaise. The mayo helps the breadcrumbs stick to the chicken (kinda like glue) and gives it a nice golden color. Get the recipe here. 8. Use it to create a creamy cheese spread perfect for melting on top of garlic bread. The secret to making this garlic bread so darn creamy is (surprise!) mayonnaise. Mixing grated cheese with mayo creates a creamy paste that's easy to spread and melts into a saucy texture perfect for topping garlic bread or flatbread. Get the recipe here. 9. Mix it into lean ground meat to make it super moist and add just enough fat. This hack is especially helpful when you're working with a lean ground beef or turkey. It helps the meat stay moist and adds just enough fat to give them flavor without becoming overly fatty. Learn how to do it here. 10. Make an easy marinade with it. 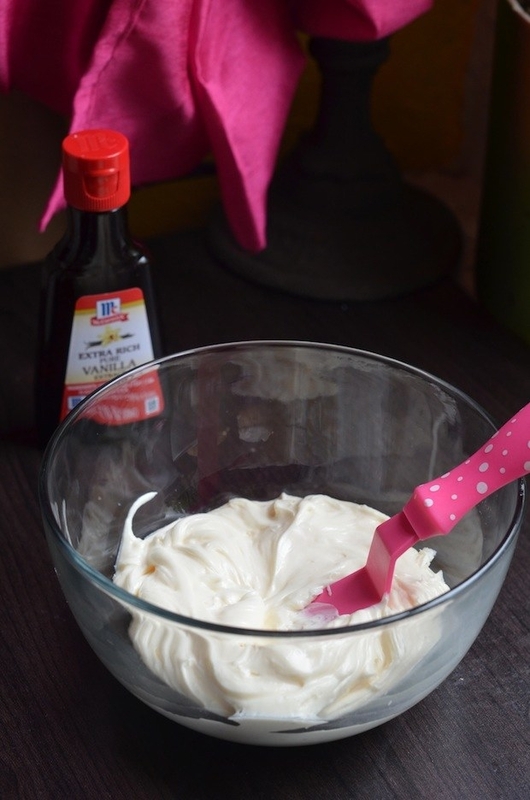 Mayonnaise has both fat and acid in it, two things that make a killer marinade. This recipe adds herbs, garlic, and spices to jazz it up, but feel free to add whatever flavors you want to the mayo. Get the recipe here. 11. Make a super quick alfredo sauce with it. Instead of going through the hassle of making a traditional alfredo sauce, simply use mayonnaise to make a velvety sauce without the added work of making a roux (AKA cooked flour and butter). Get the recipe here. 12. Add it to your scrambled eggs instead of milk or water. In Alton Brown's cookbook EveryDayCook, he suggests adding a dollop of mayonnaise to your eggs instead of milk or water to keep them moist — and if the man himself swears by it, it must be good. Learn how to do it here. Let's get cooking (with mayo)!